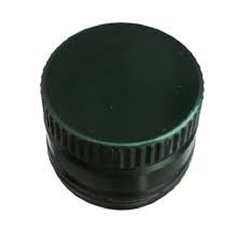 Prominent & Leading Manufacturer from Mumbai, we offer olive oil aluminum caps, aluminum metal caps and tear off seal. 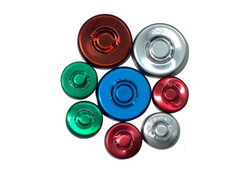 We are remarkable entity, engaged in offering superior range of Olive Oil Aluminum Caps. Demanded for filling olive oil bottles, the offered aluminum caps are manufactured utilizing supreme quality aluminum & other allied material. Prior to delivery, offered aluminum caps are inspected on numerous parameters. 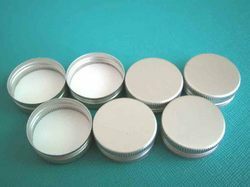 Our offered aluminum caps are obtainable in different sizes & customized options as per the need of customers. With the extensive knowledge and experience in this respective domain we are engaged in offering Aluminum Metal Caps. The given metal caps are manufactured by using top quality material & advance machines keeping in mind the market guidelines. Our offered metal caps are used for covering and sealing bottles and containers of different sizes. Our metal caps find extensive applications in the packaging process of bottles and soft drinks. With support of our excellent team workers, we have been delivering the best quality range of Tear Off Seal. The given seals have ability to withstand high temperature, durability and sturdy structure. Our offered seals are accessible in number of customized options in accordance with the set norms of market. Our seals are well tested in terms of quality in order to deliver a defect free range. Looking for Aluminum Caps ?